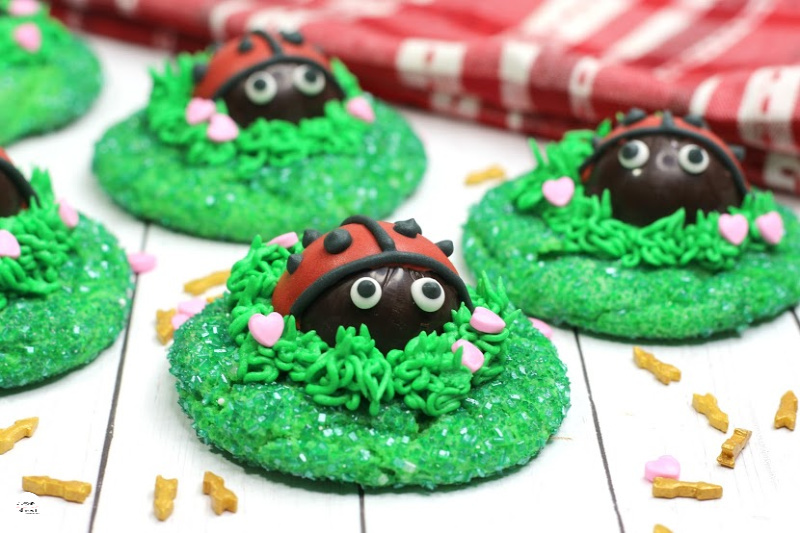 How cute are these Love Bug Cookies? 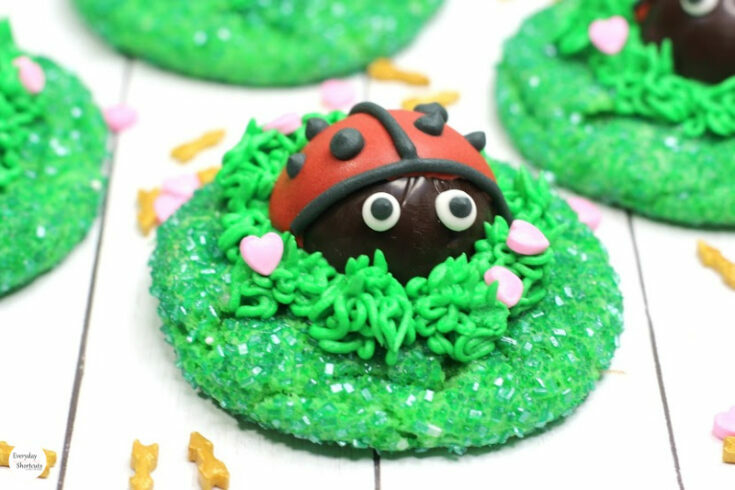 I just love how a truffle can be turned into a ladybug and the cookie is turned into grass. 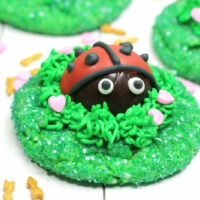 It’s the perfect cookie for any Valentine’s Day dessert or for the kids classroom party. 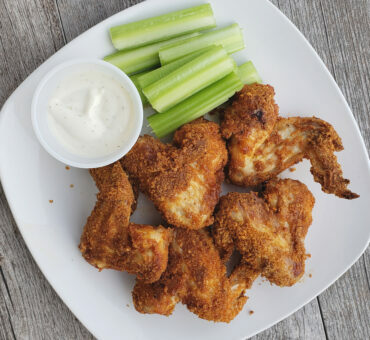 Be sure to pay attention the instruction and ingredients as there are several parts to the recipe. Just follow the directions below and your cookies will look fantastic. 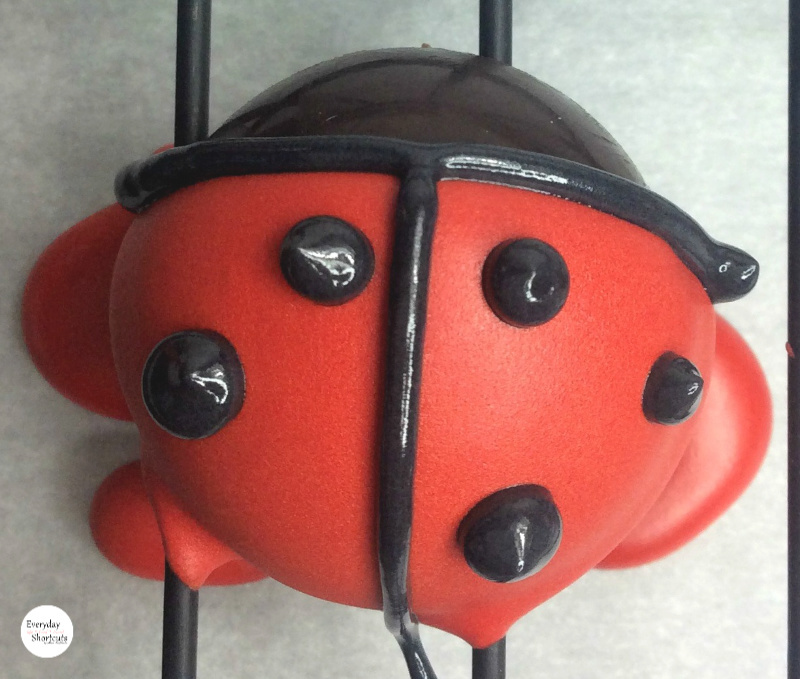 Unwrap 12 of the truffles and place onto a wire rack over a cookie sheet. 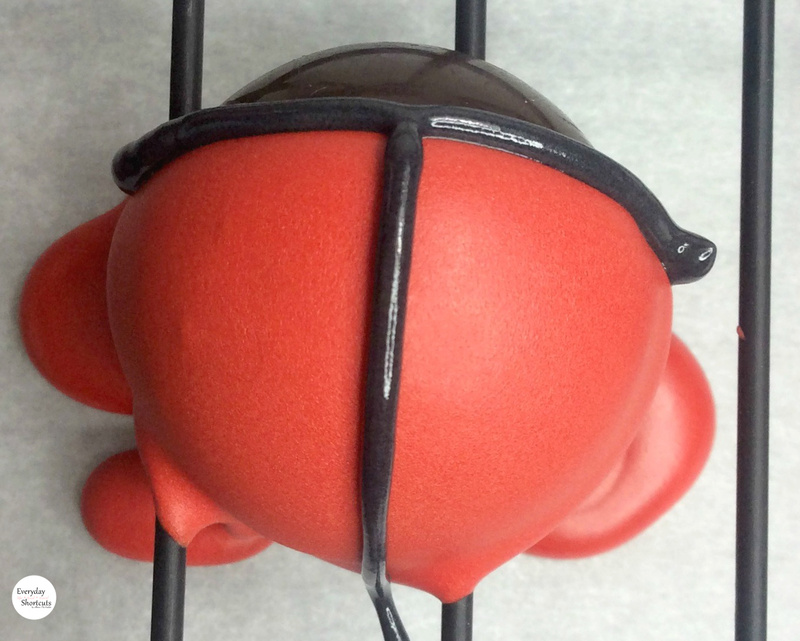 Using the red icing, pipe a line across the middle of the truffle and cover the back half with the icing making sure that there is still 1/4 of the truffle bare for the face. Pipe a black line down the middle of the red. Pipe black dots on the lady bug. 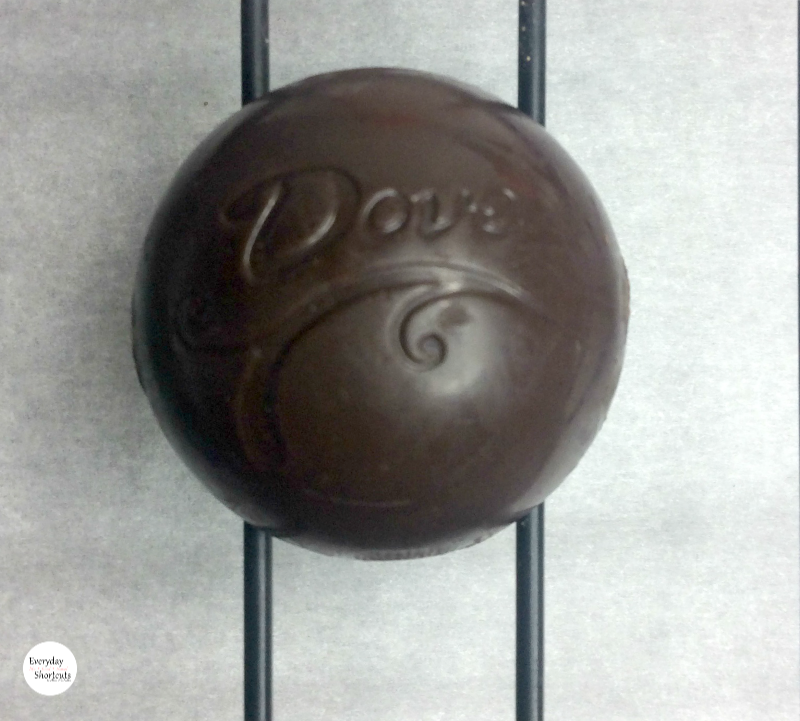 Pipe white dots on the bare part of the chocolate to create the eyes. Pipe a small black dot on the white to create the pupil. Allow to dry for 30 minutes. 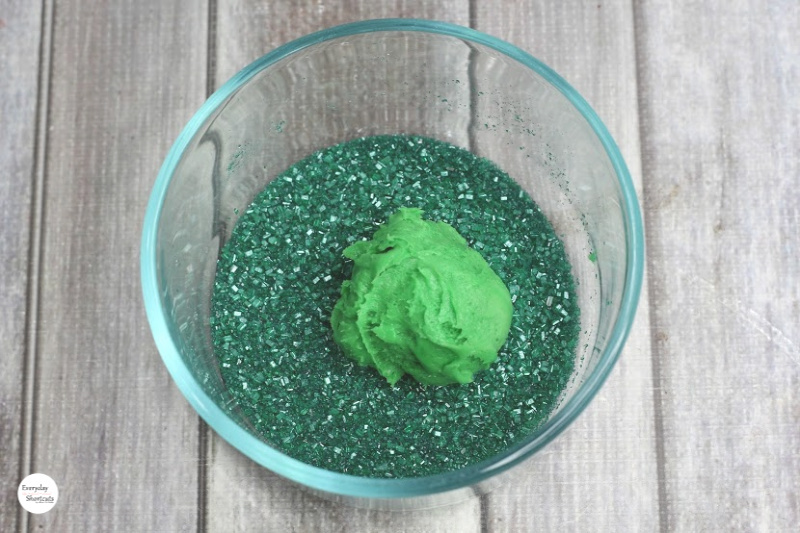 Mix in a few drops of Green food coloring until combined. Pour the sanding sugar into a bowl. Roll cookie dough into the sanding sugar. 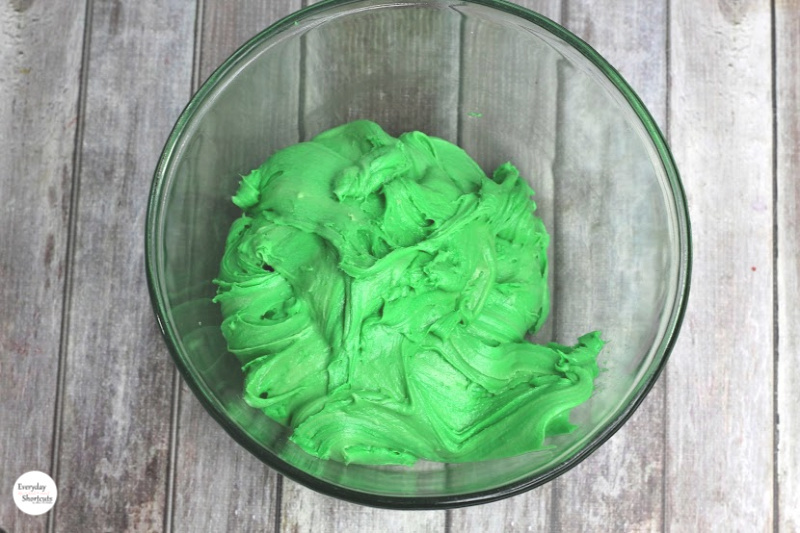 Using the green icing, pipe grass in the middle of the cookies. 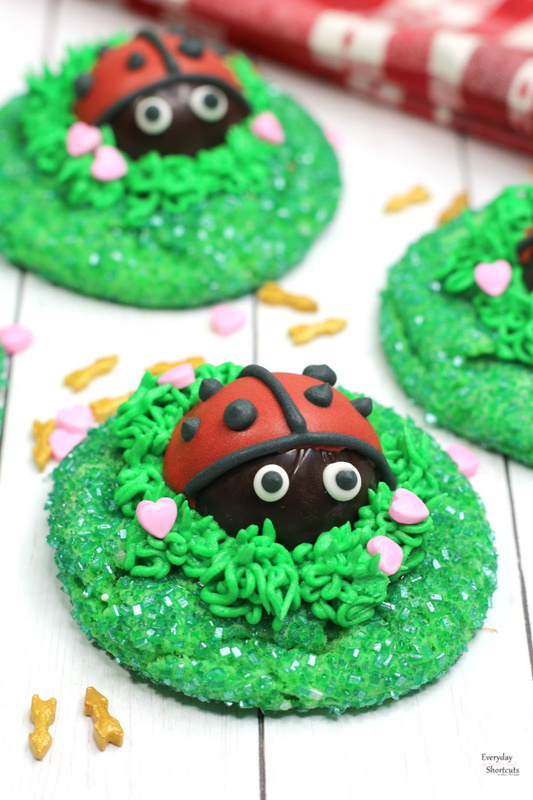 Place the lady bug in the middle of the grass. 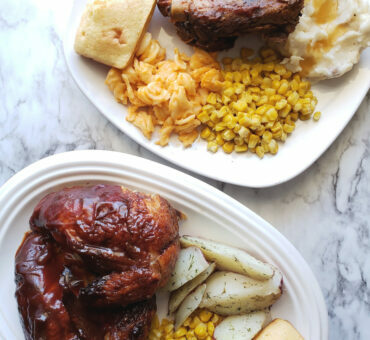 Place heart around the grass.